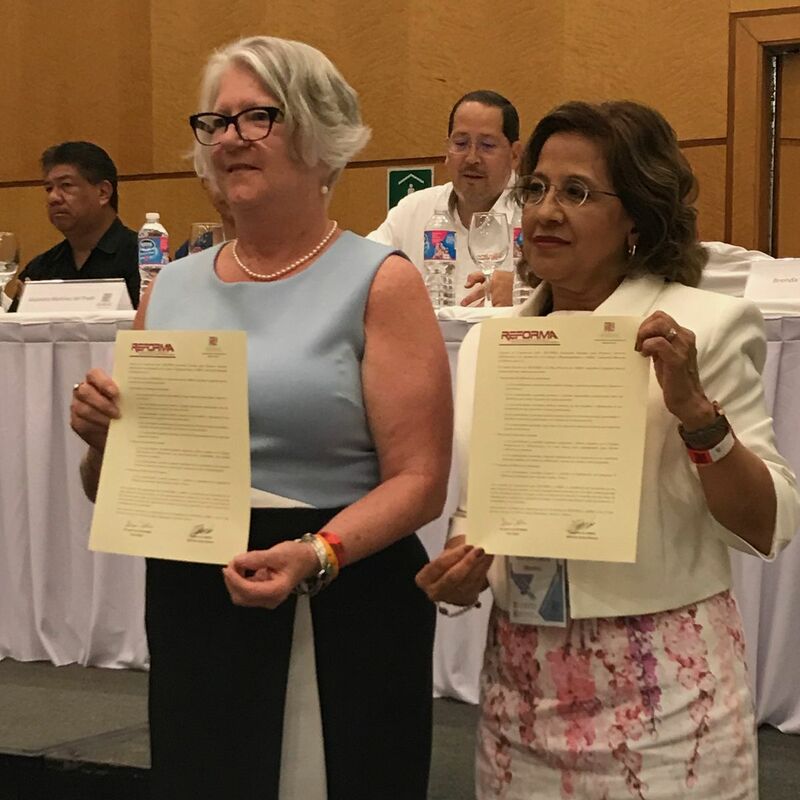 Agreement between REFORMA and AMBAC, Asociación Mexicana de Bibliotecarios A.C.
From left to right: Tess Tobin, 2017-2018 REFORMA President, and Marisela Castro Moreno, 2018-2020 AMBAC President. From left to right: Jesus Lau (AMBAC President), Loida Garcia-Febo (REFORMA Immediate Past President), and Miguel Garcia-Colon (Chair of REFORMA International Committee). The document is available in English and Spanish.